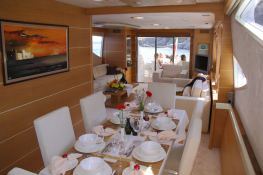 Seawide is an 80ft yacht, set to cruise the waters of the Balearics between Ibiza and Formentura. 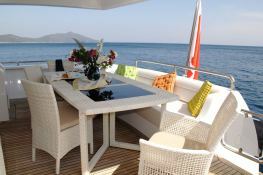 Equipped with the very latest audio-visual technology, a great exterior space, a superb flybridge with sun bathing and BBQ, and a whole range of other facilities, this yacht welcomes you to an ambience of style and comfort. 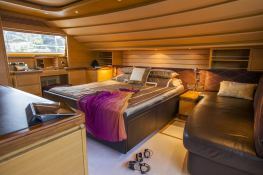 Seawide, built in 2008 by Pruva, and refitted in 2008 is a fantastic 24.5M motoryacht which welcomes up to 8 guests on board with a crew of 3, and can reach a cruising speed of 22.0 knots thanks to its 2x1360 hp engines. This Pruva Yacht 80 is available for luxury charter around Balearics. 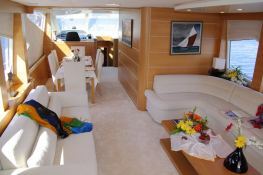 Seawide is equipped with air conditioning and also wakeboard, waterski and DVD for a great luxury charter experience. 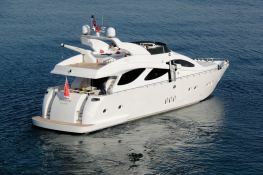 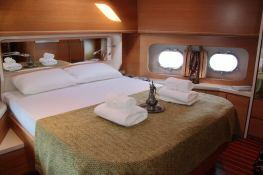 Seawide is available for yacht charter with a base price of 35 000 € (approximatly 39 471 $).